It is now possible to upload Excel (.xls, .xlsx) translation memory (TM) files into your TM-Town account. TM-Town accepts both bilingual Excel translation memory files as well as multilingual Excel translation memory files. 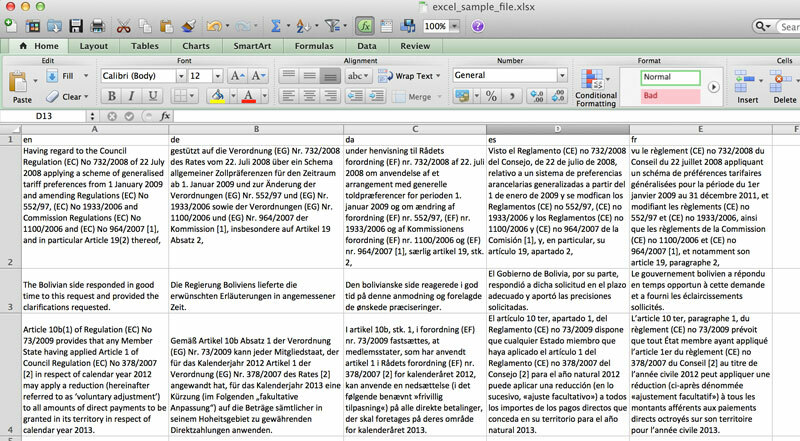 Your Excel file should contain the data you would like to import on the first sheet. Data on other sheets will not be imported. 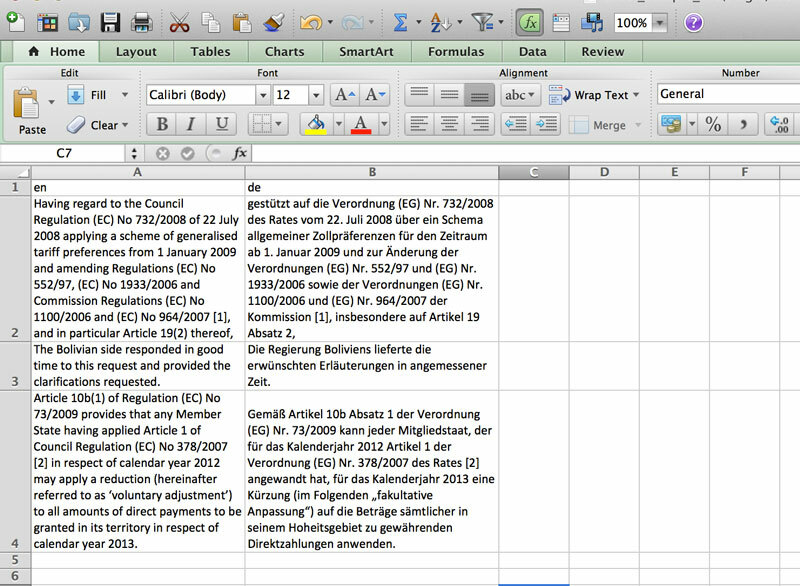 The source segment should be in column A with the ISO 639-1 two-letter code for the source language in cell A1. The target segments follow the same pattern starting in column B. If your file has one target language it should be in Column B with the ISO 639-1 two-letter code for the target language in cell B1. For a list of all of the different file types TM-Town accepts, please see the TM-Town Getting Started guide. Finally, if you are a freelance translator and haven't yet signed up, be sure to give TM-Town a try. TM-Town is a free service that can help you improve your translation business. Sign up for TM-Town today.